It’s a short tweet before I wrap up this week. Like I posted an article earlier, I’m in discussion with media & promotion agency for privately-held VC forum in Seoul. VC’s venture formation process is somewhat similar with what talents management firm does. Putting huge efforts to make products known and usable to wider range of customer base is one of big VC activities. Attracting investors and winning loyalty in the public market is a rigorous process, but it is a must-do to make our investment more fruitful. “Even if you have three buckets of precious beads, they have no worth unless stringed,” as the old Korean saying goes. Entrepreneur should be the one who connects resource and create further value. I’m briefly attending private VC forum at Westin Chosun today, that is organized by theBell. It’s good that non-gov sponsored event like this. 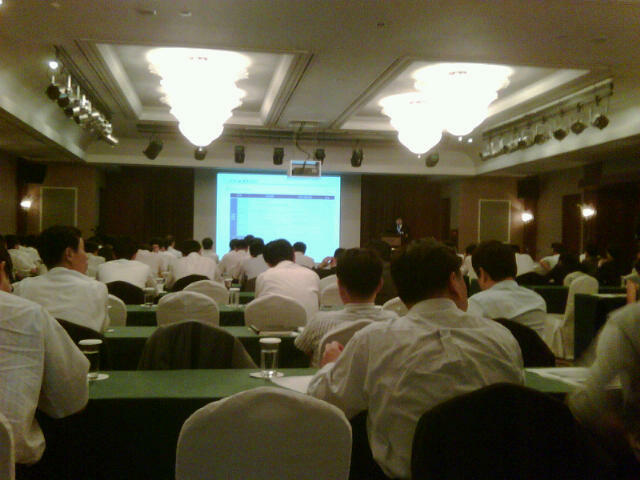 It has much more intimate climate for investors to discuss current issues in Korean VC market. Topics that are covered here include SPAC as an alternative exit route and Korean version of claw-back term and its pro-and-con’s. Bonchun Koo at LB Investment nicely covered quite critical issue on claw-back. Good work! One of interesting buyout strategies is targeting family-owned business in transition. Especially, country like Korea where inheritance or gift tax is fairly high, founder often struggles when he wants to succeed his business to the next generation. Private equity managers could offer interesting value proposition in this situation. Recent talk with a famous serial entrepreneur has inspired me. He said there could be multiple succeeding chief executives, but there is only one founder. It’s such a privilege to initiate something new as a founder.